Usually my mind is cluttered with all the things I want to share with you guys, but today it’s blank. I don’t know what’s going on but I think my brain is tired of thinking…so I will cut the chase and go straight to the recipe. Before I do that, I need to thank a blogger friend of mine, Dolphia. I met Dolphia through blogging and over the course of two month, we have become great friends, so when she asked me to do an interview ( about food photography) on her blog, I was all game and excited. She’s an amazing person and very generous with her compliments, don’t take everything she tells you about me @ face value, it’s her generosity more than anything. Do stop by her blog and check out what I have to say about food photography. Hope you enjoy reading the interview and gawking at the images. Here is the link to the interview : story of cooks. There is really no recipe for this drink, but I will try and give you the measurements, it’s certainly not carved in stone so get creative and do your own version. I just love the color and flavors here. Great for the holidays. sugar to taste - I did not add any as the pomegranate was so sweet and the store bough cranberry juice took care of the sweetness. 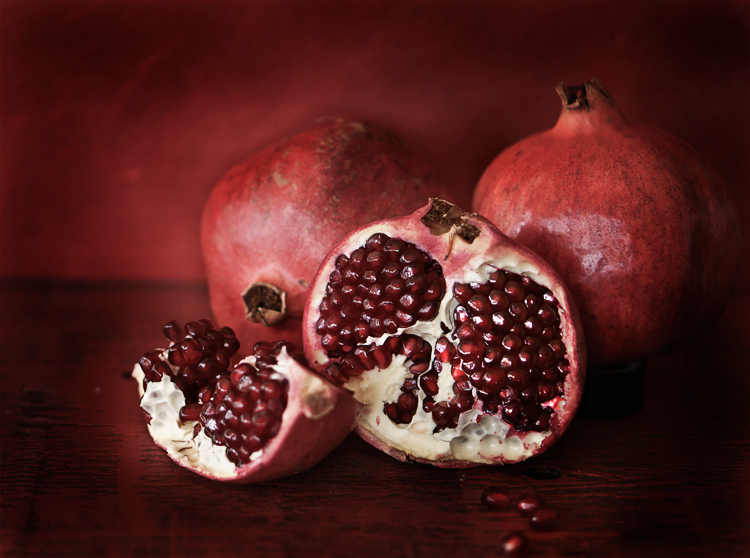 Take the pomegranate kernel and blend in a blender, strain. 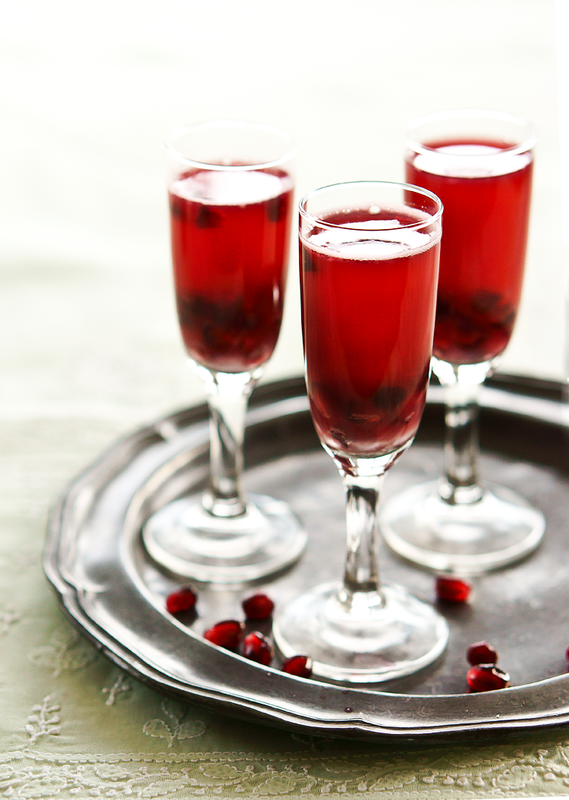 Mix it with wine, cranberry juice, club soda and ginger. Add sugar if required. Served with some pomegranate kernel - served chilled. I though this was amazing, you can warm it up and serve it as a mulled drink, it’s equally delicious. 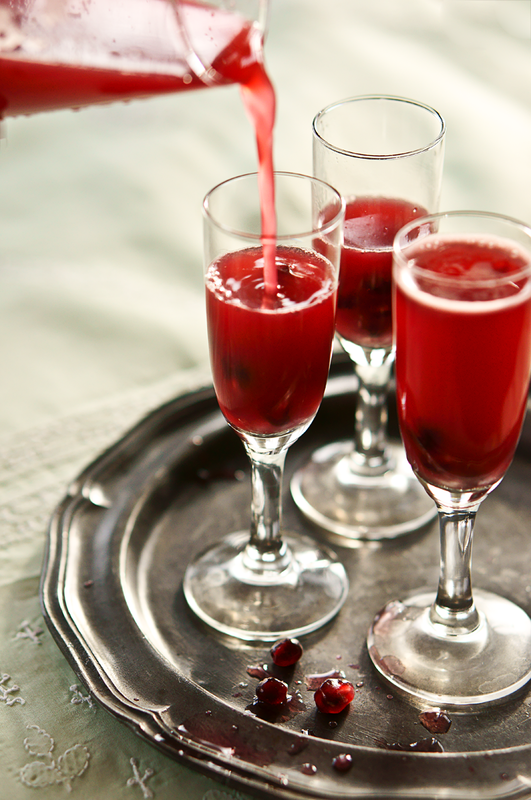 When serving warm, add two cups of wine and omit club soda. Add a couple of cloves. OMG! That looks perfect. Love the vibrant color! If nothing else the jewel tone color of this drink is mesmerizing. Fab photos as usual. 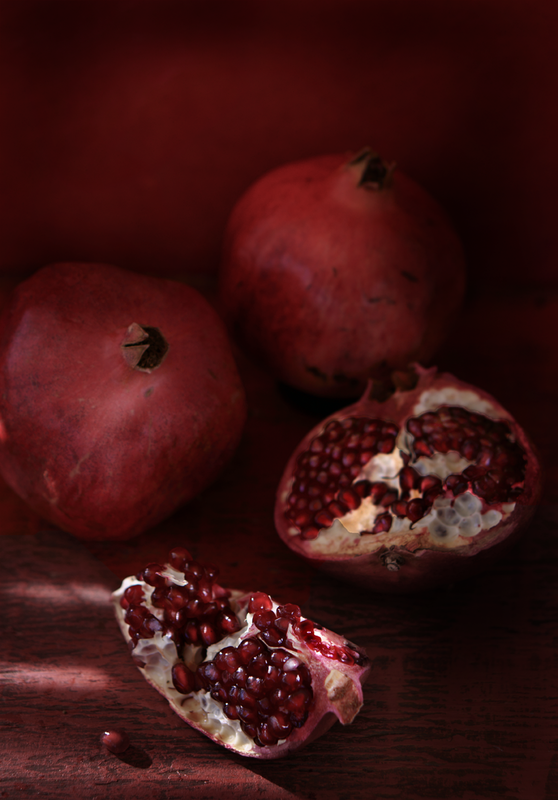 The one of the pomegranate is amazing. Great holiday drink. A fantastic drink, Simi, so are the photos! 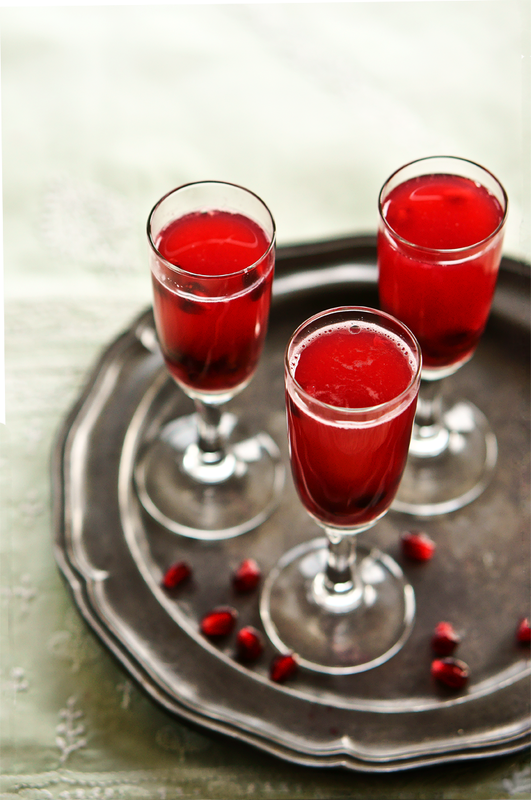 OMG the drink is so damn perfect n color.. bful shots..
Oh, I love the first picture of the pomegranates. Really magnificent! And that spritzer looks and sounds heavenly. 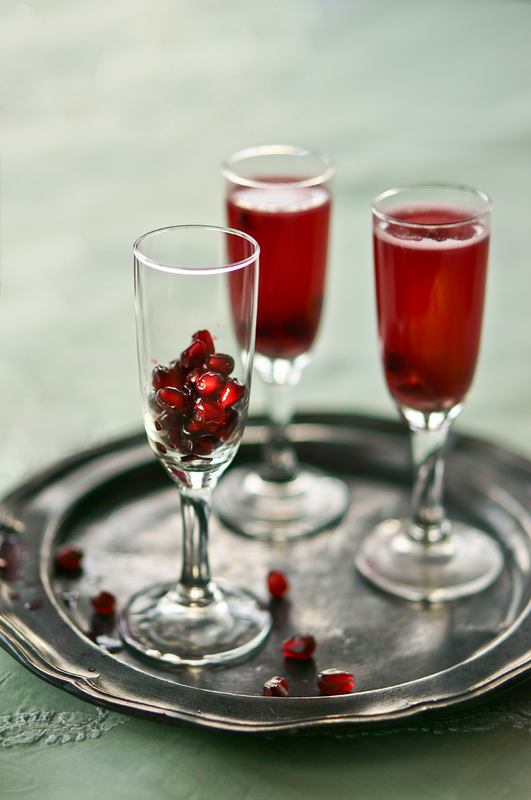 This pomegranate spritzer looks so delicious. I definitely can see myself making the recipe all through the upcoming Christmas season. thanks for sharing it! These look fantastic, love the color! Pinning to make for the holidays!